Map extracted from the book "The Philippine Island World, a Physical, Cultural and Regional Geography." 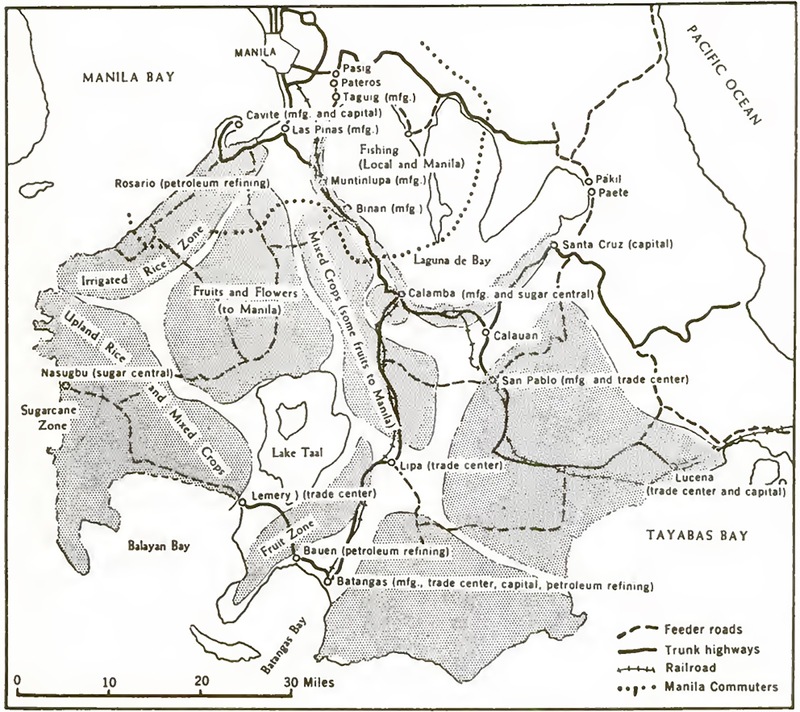 The map above has been extracted from a digital copy of the book entitled “The Philippine Island World, a Physical, Cultural and Regional Geography1,” which was published in the year 1967 in the United States. It is part of a section of the book entitled “The Economic Patterns” (of Southwestern Luzon, including, of course, Batangas). The region is described in the section as “primarily agriculture.” However, the map shows not just which agricultural products are produced where but also where industries and centers of trade are to be found. In the book, the map is captioned as “Figure 57. Transportation and major economic areas of Southwestern Luzon.” Although the map shows basically what is called contemporarily as the CALABARZON, the Province in Batangas figures very prominently in it.